There are so many good communication apps available today that it can be hard to choose one that is best for you - personally I use a couple of different ones depending on who I am talking to. 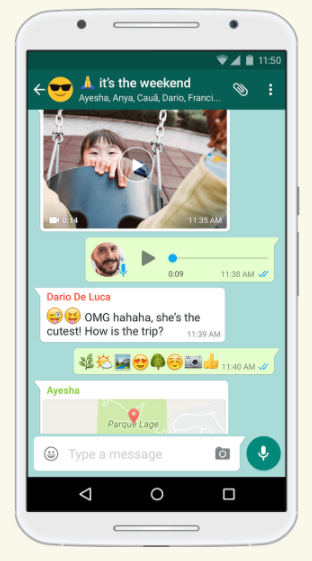 Whatsapp is a great messaging system that has lots of features and benefits in the way that you can communicate with other people: text, voice, images, files, and on it goes. The single most attractive feature that WhatsApp offers that is unparalelled in the communication app world, is that the app can be used on almost any device. Such as: iPhone, Android, Windows Phone, Blackberry, Mac, PC and even wearables will carry WhatsApp. Click here to have a further read about WhatsApp and download a version and start using it - you will never look back. Copyright © 2018 Search & Be Found, an inbound marketing & lead generation agency.